Before beginning work on a soul painting, all I ask the client for, is a photo of themselves, or whomever the painting is for. If you prefer, a ribbon or other small item can be used, instead of a photograph. With this and their name, I can get to work. I begin the process by meditating upon the person, allowing the images and colours to form in my mind’s eye. I initially do a sketch with chalks to capture the various elements and colours and then as I paint, the meaning behind the images continue to emerge and evolve. I've noticed people sometimes talk about their fear that something dark and awful will come up in their soul image. This is a normal fear that many people feel at first. 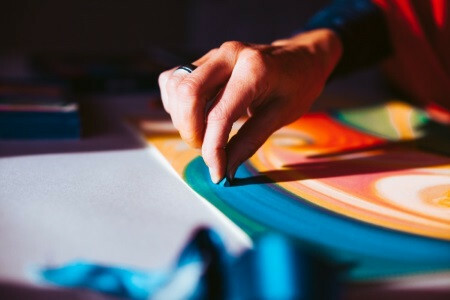 I don’t see specific personal details from a client’s life while creating a soul painting. Elements flow together, telling their message through colour, metaphor and symbolism so there is no need to worry about details of any secrets being revealed. I create each soul painting with love and light as the focus. This allows the very best of each person to be reflected within the painting. While many people have experienced trauma in their lives, this is often experienced as a time of deep change and transformation on a soul level. A soul painting guides the person to see the wider perspective on their life path and soul purpose, rather than getting caught in the details of daily life. ‘I wasn't sure how the process 'worked' but given the situation at the time I was expecting the painting to be dark. I was really happy that the overall vibe was positive and bright yellow. 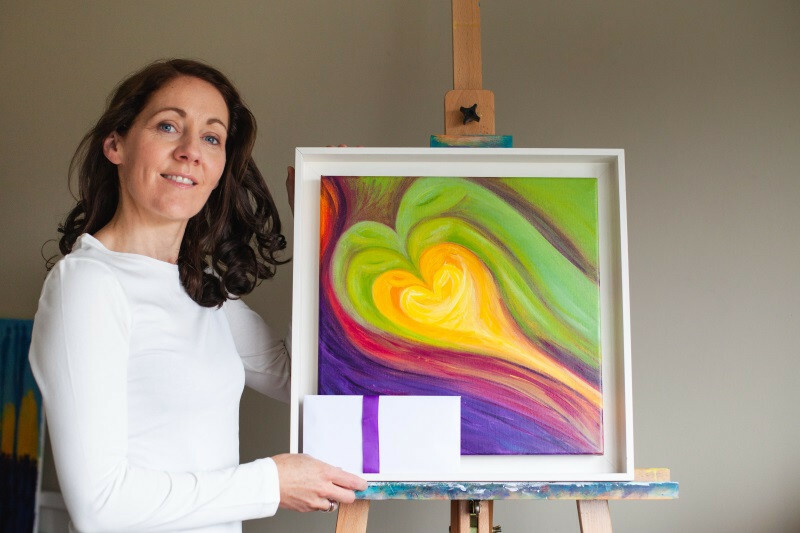 I feel that a soul drawing can give people an insight into their emotional state at a point in time, which they can look back on, with fond memories or with a sense of appreciation. When the painting is complete, I then sit down to write a letter explaining what arose during the creation of your soul painting. This acts as a map to decipher any symbolism and guidance the painting has to offer. The final step is the reveal call. This is when you will see your painting for the first time and you can decide whether you would prefer it framed or unframed. Your painting is then packaged up safely before making its way to you and its new home. As a soul painting hangs on your wall, it acts as a constant reminder of the brightest and best part of who you are. 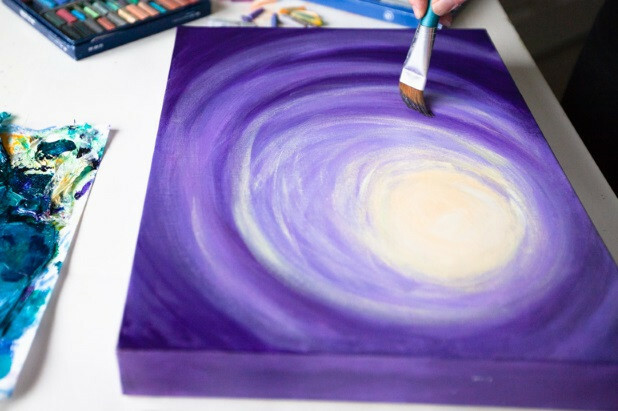 You can work with your painting as part of your daily meditation practice or simply enjoy the visual reminder of your unique gifts, inner beautiful and potential. Whatever way you connect with your soul painting, will be right for you. ‘When I unwrapped the picture the overwhelming feeling I had, was that it was so right. It is full of energy, warmth, protection and light. Breda’s work comes straight from the heart.